Matthew Sadler and Natasha Regan’s Game Changer is a book worthy of its title. 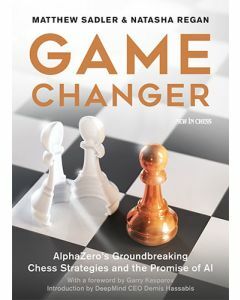 The authors tell the story behind the development of AlphaZero, a self-taught chess machine that convincingly beats Stockfish 8, a strong open-source chess engine that relies on brute calculation power and the evaluation of preconceived parameters provided by a human. 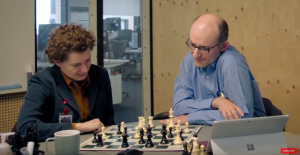 The human-like way AlphaZero plays chess makes this self-instructed device a real “game changer” in fields beyond artificial intelligence (AI) and chess. 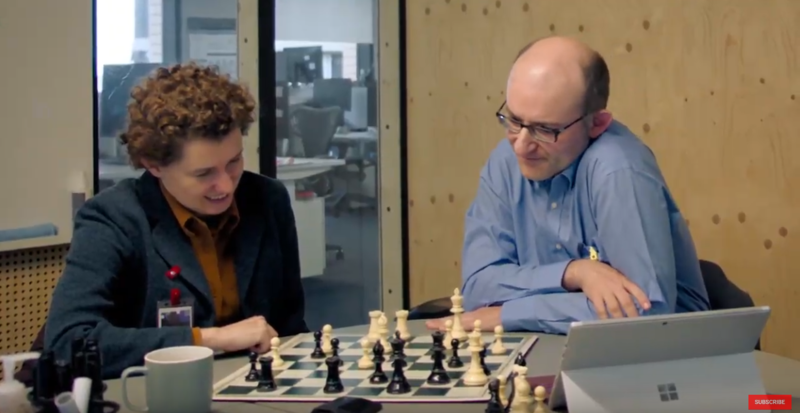 The story behind a ground-breaking event like the development of AlphaZero and an analysis of its games requires a special type of writer. Fortunately, Sadler and Regan are a team with the rare combination of expertise in multiples areas and an ability to analyze and summarize a large amount of data (games) in an engaging style, while still instructing and inspiring the reader. They have written a fluid and absorbing book that is, at the same time, as logical and rigorous as a good scientific manuscript. Their previous work Chess for Life, the English Chess Federation 2016 Book of the Year, is based on interviews with and case studies of Grandmasters who have continued to play well into middle age, including Sergei Tiviakov, Judit Polgár, and Yasser Seirawan. 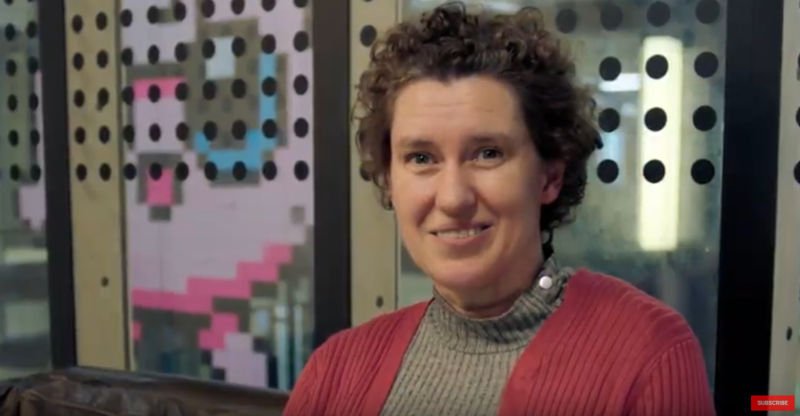 Using a similar technique in Game Changer, Sadler and Regan interview the AlphaZero developers and query a pool of chess engines while analyzing Alpha Zero’s games. 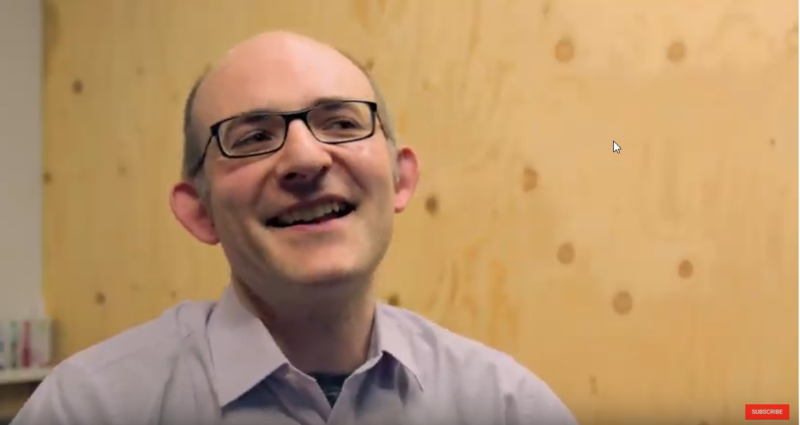 Remarkably, Sadler, a grandmaster and IT consultant, was able to keep pace working on hundreds of chess games (and recalling similar games played by humans) using a “ breakneck speed method,” while asking the traditional chess engines relevant questions to illustrate the differences between AlphaZero and traditional chess programs and determine what positions were worth to force AlphaZero to play. WIM Regan, who also studied mathematics at the University of Cambridge, synthesized this data in tables and charts that allow the reader to understand the differences between AlphaZero and Stockfish 8 as well as the authors’ conclusions. 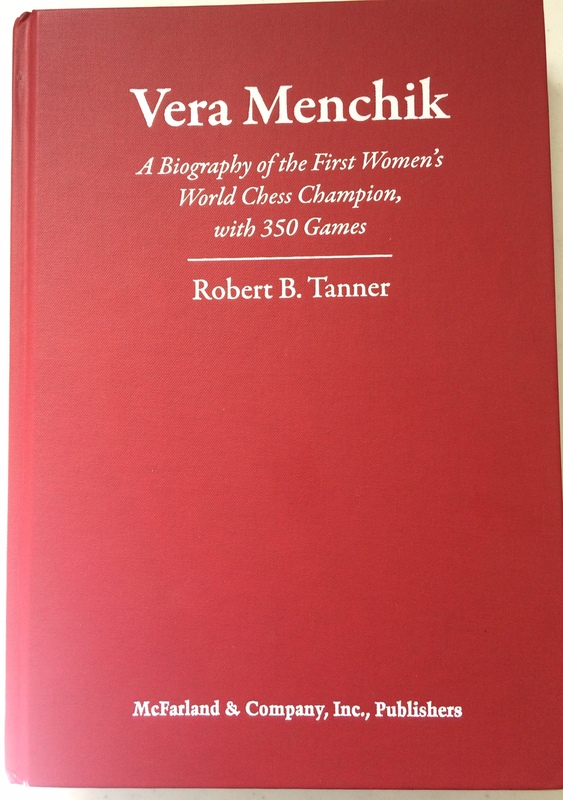 Vera Menchik a Biography of the First Women’s World Chess Champion with 350 Games is the latest effort by Robert B. Tanner. 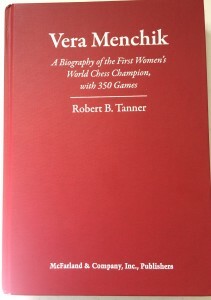 The author wrote a biography of the first Women’s world champion Vera Menchik plus all her games available at the moment. This work on the life and games of Vera Menchik fills a major gap in chess literature in the English language. In the past, only scattered games without historical context were available about Vera Menchik’s chess career. The book is a recommended choice to parents looking for an inspirational read to motivate female chess players at the K-3 level, players interested in positional chess or chess history. Finally, the chess games and annotations in this book can be use as chess training material, especially, the handling of closed positions by Menchik and her opponents are particularly useful. 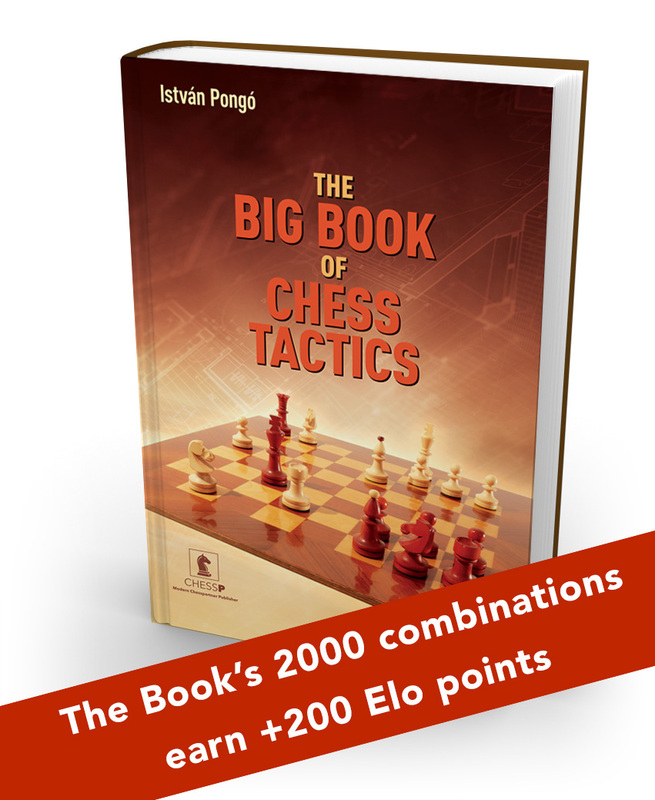 Istvan Pongo is best known in the US by his book Tactical Targets vol 1 and 2, cited in the bibliography of the la Maza’s book rapid Chess Improvement (2002). This time the author aims to deliver a comprehensive book on tactics on one volume as an improved version of the two books mentioned above. The book is almost eight hundred pages long (but it does not feel heavy), hard cover, printed in high quality paper, has a red and yellow built in page markers and the page binding is sturdy. In other words, this book is a pleasure to hold and work with. The pages have two diagrams at the top of the page and the answer below the diagram, so the reader can solve the puzzle and cover the answer with a piece of paper or just focus on the diagram and avoid looking down the page. This format saves time because the reader does not need to flip pages back and forth to find the answers the exercise pages have six diagram per page. The book is conceived following three principles, First that all the combination comes from previous games (Tal’s statement on tactics “It is unlikely that a new original combination occurs in the present stage of advance chess”). Second, that to be successful at chess a player needs first to identify the a tactical opportunity and third, after the opportunity a.k.a tactical target is identified the player needs skill to checkmate his opponent, gain a decisive material advantage or save a lost position by perpetual check or stale mate. Additionally, the chess player needs a simple but important understanding of the types of balances in chess in order to carry out a successful tactical operation and understand chess better as a whole. 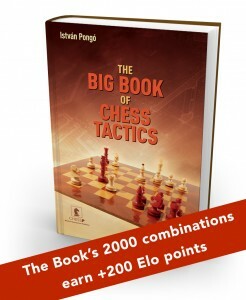 The book has short remarks about the career of several chess masters and tactical tips which make the book more entertaining and less dry than the Encyclopedia of Chess Combinations. Tactics are grouped around twenty three motifs and explained with almost two thousand examples with solutions. The first theme is the double attack, the easier topic to master and the one that delivers the most victories at the early stages of any chess trainees. The double attack is without doubt a heavy point scorer tool at all levels of chess, from beginners to seasoned grandmasters. Pongo’s experience as a teacher can be trace back to the way the examples are presented, from just “observe and find” to systematically force your opponent’s pieces to ‘be in the right squares”. At the end of this chapter and the rest of the book the reader will enjoy masterpieces of tactical ingenuity. The combinations are instructive and pose a good challenge to the ambitious chess player. This is so far the best book on chess tactics I came across in many years for several reasons. First, the books follows a systematic approach following the intrinsic elements of the theme at hand, instead of presenting the subject matter, as a single generic topic like “pins” or forks. Second, the book is structure in a way that can be used to teach chess tactics at a different levels of chess development. The examples are pure joy to go over them and enjoy the creativity of chess players. Finally, the book is a very high quality product, a lot of attention to detail and build to last. 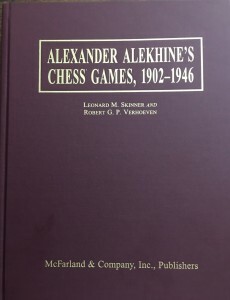 Alexander Alekhine’s Chess Games, 1902-1946 by Skinner and Verhoeven is the most comprehensive collections of the forth world chess champion Alexander Alekhine (1882-1946).This book belongs to the library of every chess enthusiast. The reasons to support this claims are the following. First, Alekhine was a strong player and superb annotator with a passion to explore the resource available to both players during his games. Second, Alekhine was a strong correspondence chess player before becoming a top over the board player which makes Alekhine’s games (especially the early games) and analysis a good blend of home analysis and practical advice to play opponents face to face. In other words, Alekhine annotations mix theory and practice. Third, Alekhine was paid to annotate chess games for newspapers and chess magazine of good reputation as a result Alekhine’s comments on a chess game were high standard and produce to educate a wide audience at the same time that his work will stand the review of his peers. Fourth, The games of the forth world chess champion are high quality and good models in all the three phases of the game (M. Marin, makes a good argument that some of Alehine’s games reached a rare fourth stage of a chess games) which make this game collection a complete “one stop” resource to any player looking to improve his/her chess skills. Finally, all the coaches I worked so far including Cuban GM Amador Rodriguez (youngest GM in his time) recommended Alekhine’s games as a good tool to become a better chess player. 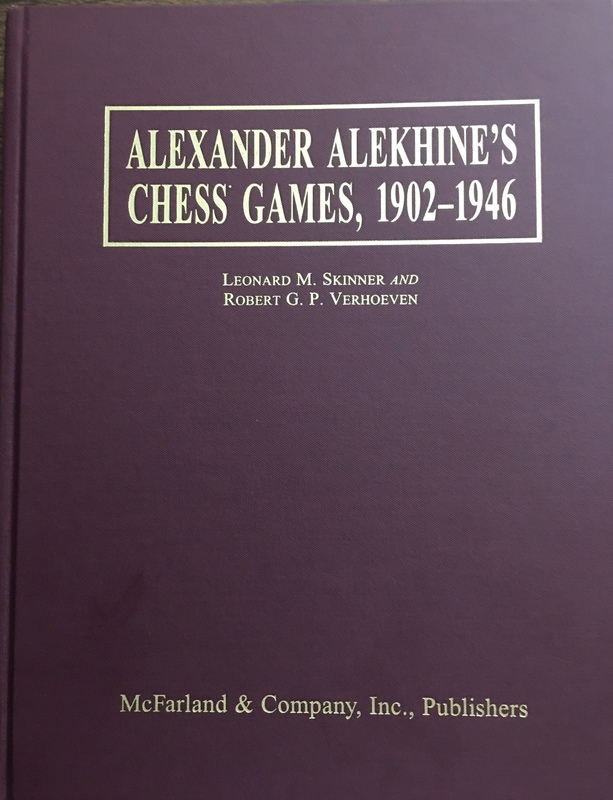 This book makes available to any chess player aficionado to a large selection of Alexander Alekhine games in one volume. The authors help the reader to understand Alekhine development as a chess player through his games and annotations. The annotations and the chronologic sequence show how Alekhine evolved from an amateur into a strong master and convey the idea to the audience that passion for chess, systematic study and practice eventually pay off. In this age of instant gratification is important to the amateurs to realize through the games of Alekhine that to become a strong player a good deal of time and effort are require, including annotating your own games and keep detailed record of every battle across the board. In Chapter three: On the Way to the Master’s Title 1907-1909 the authors present an important period of Alekhine’s career that is usually omitted in many game collections by other authors o that just focus on ‘brilliant” games. The games of this period are important because Alekhine himself wrote about them years later, and uncover the inner desires of a young player in his way to the top such as the desire to improve base on the analysis of your own games. This chapter uncover a relationship with other great chess player of our time, Gary Kasparov. In this chapter Alekhine explains his inclination to analytical work and reflection over his results, after reading this book it was clear to me all the great players of the attack like Kasparov share the same traits with Alekhine as supported by the following statement “Apart from innate combinative gift, from childhood I possessed an unlimited appetite for analytical work “(Garry Kasparov on Gary Kasparov Part I, page 6, Everyman chess 2011). The question is how this translate in a competitive edge? Skinner and Verhoeven shell light about this question as they deeply into Alekhine’s combinatorial skill by interviewing the last romantic master of the attack Rudolph Spielmann “ I can comprehend Alekhine’s combinations well enough; but where he gets his attacking chances from and how he infuses life into the very opening- that is beyond me. Give me the positions he obtains, and I seldom falter. Yet I continually get drawn games even out of the King’s Gambit”. The answer to the previous question is that Alekhine and Kasparov were able to uses their combinative powers to the fullest because both players, analyzed deeply the openings they play and cashed in the opening advantage (prepared at home) with a tactical stroke. The annotation in Alexander Alekhine’s Chess Games, 1902-1946 are very instructive from the technical point of view and also help to increase the reader’s chess culture. As previously mentioned, Alekhine was paid to annotate chess game to the audience professionals and amateurs alike. In the first case we see Alekhine writing several tournaments books that contain the games of the very best players of the time so the annotations need to highlight the fine point and nuances that usually decide Grandmaster games. On the other hand, when Alekhine annotated games for a newspaper the audience was less knowable of opening theory and high level chess, but because Alekhine played some many games against amateur he was able to write to help the weaker players to become better at chess. This point in Alekhine’s legacy cannot be underestimate and the book by Sinner and Verhoeven make Alekhine annotations available to the amateur group of chess enthusiast in a single volume that contains the first over the board games of this chess genius and that are easier to understand to an amateur reader than the later games that contain mountains of opening preparation. As mentioned in the previous paragraph, Alekhine’s opening preparation elevate the level of chess from the amateur game to a more professional status as support for Gary Kasparov comments (Garry Kasparov on Gary Kasparov Part I, page 5, Everyman chess 2011). In this book the authors show how Alekhine’s opening repertoire evolved and also explain to the reader why an opening variation that seems unsound in the past become playable when the right middle game plan/approach is founded (see game 264 and the explanation behind the viability of the Bird variation of the Ruy Lopez). Alexander Alekhine’s Chess Games, 1902-1946 illustrates and help the reader to identify that opening play is link to middle game and endgame play and that the same opening in the hands of two different players may give different result because the interpretation that each player gives to the resulting middle game positon. The reader has the opportunity to learn from the annotations in this book the fundamentals of several chess opening such as the French defense. This new knowledge along the “how” to play the resulting position is more valuable that the rote memorization of moves from an opening manual. Finally, the book a rich source of model games to chess players of any level and must be the first buy of any chess club. The authors did a great job presenting Alekhine games and clarify that Alekhine’s dominant chess was the fruit of hard work. Before every tournament or chess match Alekhine put a lot of energy. This trait in Alekhine’s career is not clear to the younger generation of chess players. Importantly, the authors highlight that to be successful and chess like in life a sustain and systematic effort is required.